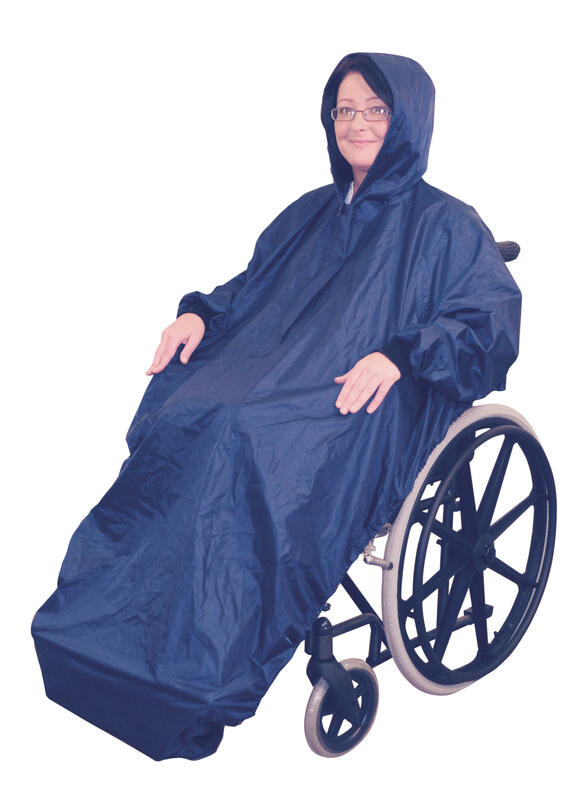 Lightweight Rainproof Mobility Scooter Poncho/Cape for use with mobility scooter or if needed wheelchair is made from a 100% Polyester fabric which is machine washable at low temperatures and can just as easy be wiped clean. 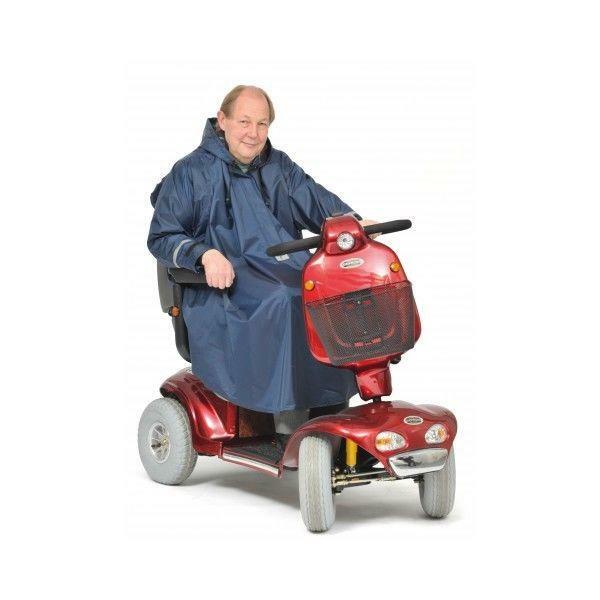 Easy to put on and take off with a half zip top opening with large key ring zip pull to allow easy opening and closing, this poncho has also a lined hood with toggle string pulls to make the hood secure and tight. 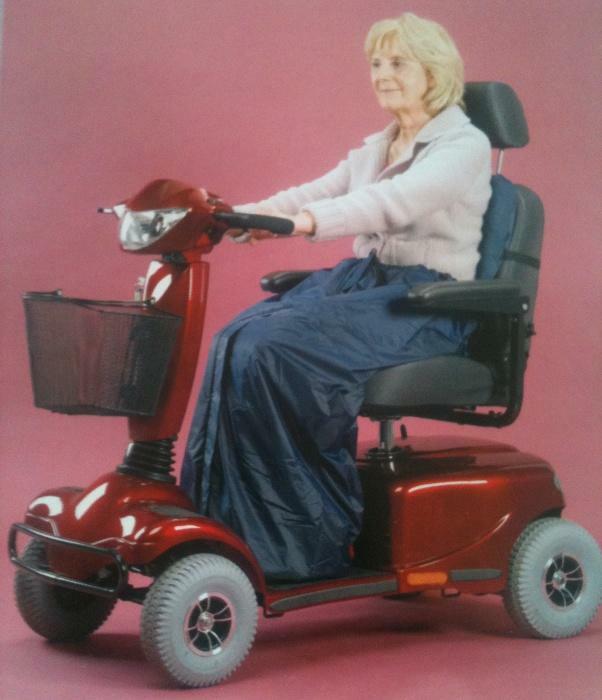 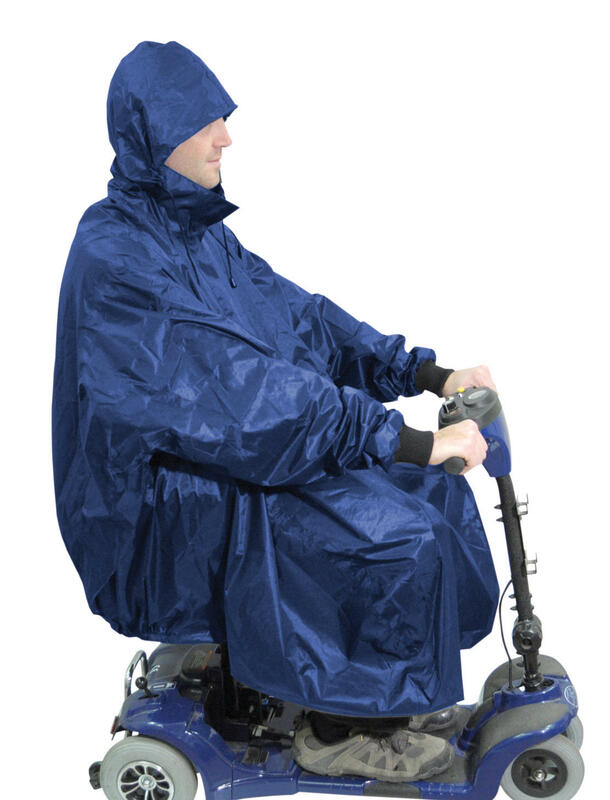 This mobility scooter poncho also has the addition of reflective tapes on the sleeves and at the back for safety if using during darkness. 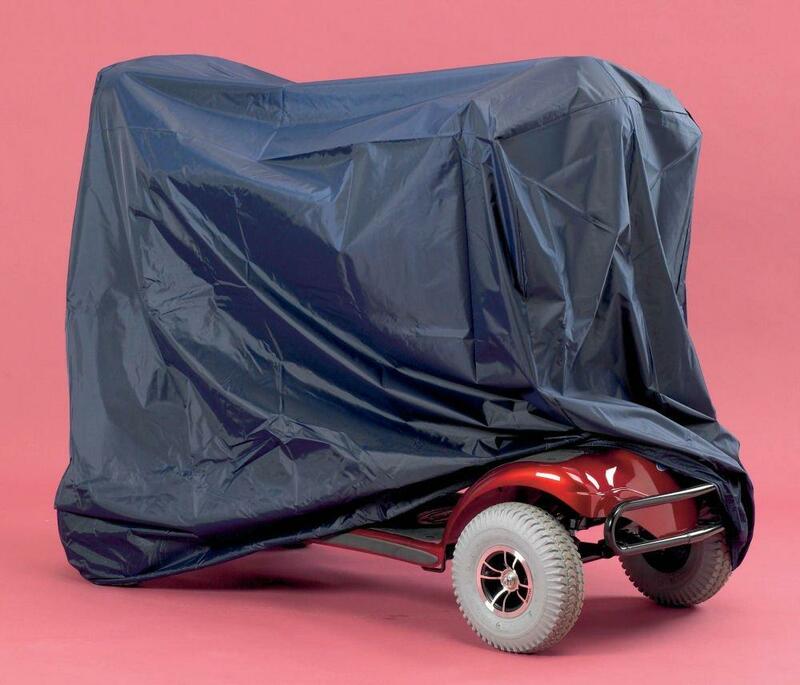 The poncho has taped seamed seals to keep it extra water tight during those unexpected showers but can just as easily be folded away into a simple bag when not in use for storage. 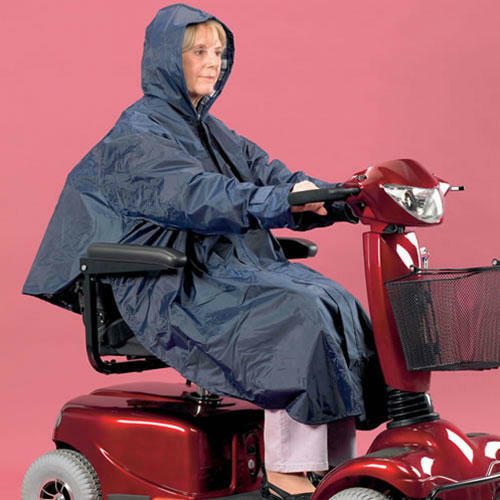 In a navy Blue colour the poncho a one size and fit most people. 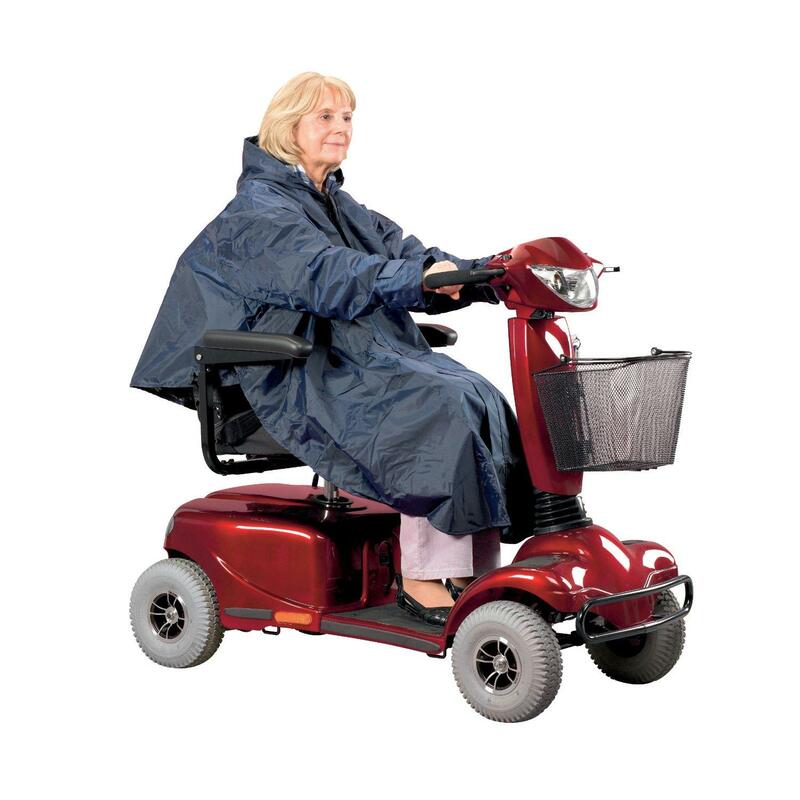 This is a PD Care Product own Brand and gives extra value for money, and is one of our best sellers.